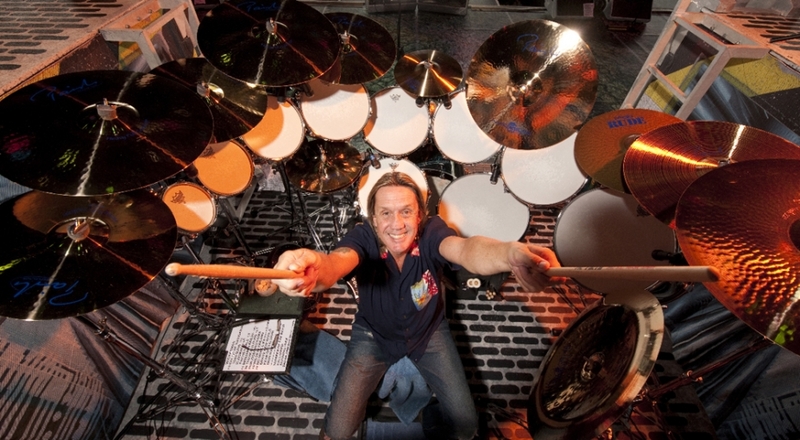 So Nicko, is this the best album yet? “I think this is the new millennium Number Of The Beast. That was one of our best albums, and the follow up to that [Piece Of Mind] was probably the best of the lot of them. So, how is the album doing since its release on September 4, 2015? As Billboard just reported The Book Of Souls has earned the band its fifth U.K. No. 1 album of its career. That’s called Maiden-it-happening. . . .big time. Way to go boys. Whether you are a metal fan or not, and more specifically a fan of Iron Maiden, you are gonna love this story. Iron Maiden has always been one our favorite bands and such an impressive act ever since their debut and self-titled album from 1980. 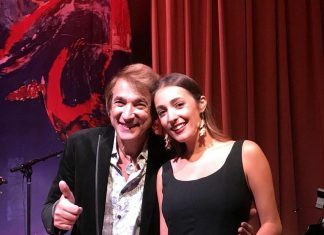 So, back in June when we told you about Iron Maiden’s upcoming album entitled The Book Of Souls, (our original blog appears below), we knew there would be more to this story. 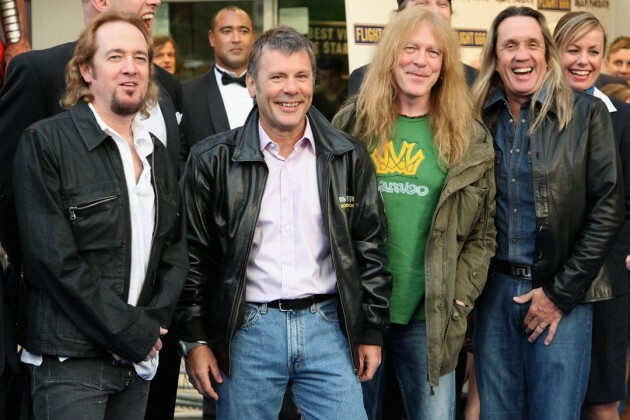 Well, now we have learned that Maiden will be touring extensively in 2016 covering 35 countries. So, how do you think they are going to do that? Flying on “Ed Force One” of course. But there’s more, guess who is piloting it? None other than frontman Bruce Dickinson himself. Yep, B.D. 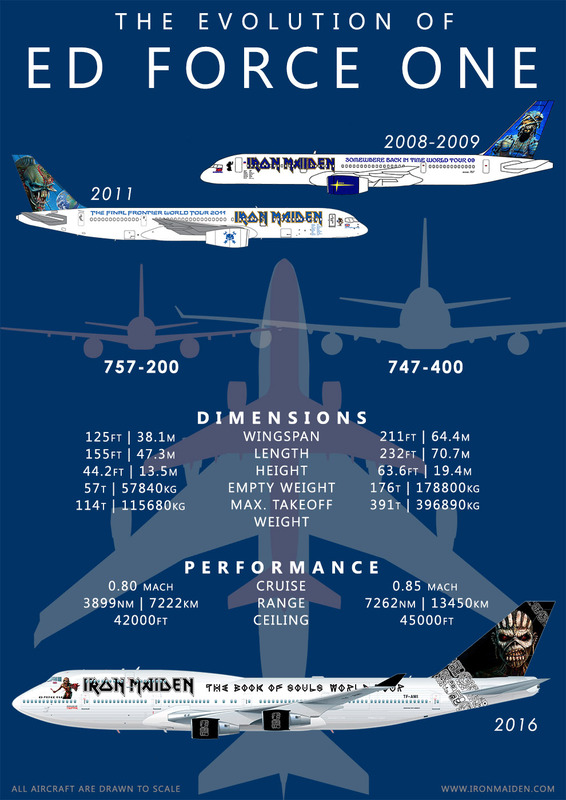 will be piloting a Boeing 747-400 for this tour. 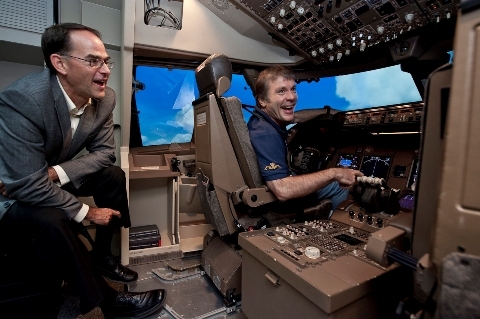 Dickinson is currently in training for his license to fly the four-engine aircraft, which is much bigger and more powerful than previous versions of Ed Force One. 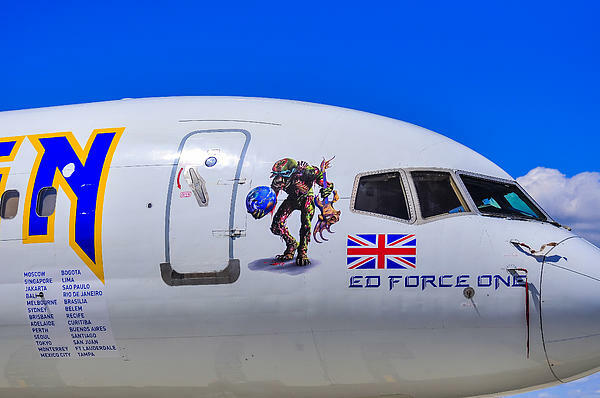 Ed Force One will take the band and its crew as well as tons of equipment around the planet to concerts in Australasia, Asia, North and South America, Africa and, Europe. The tour will begin in the United States in February of 2016 and then it will head on down to South America. 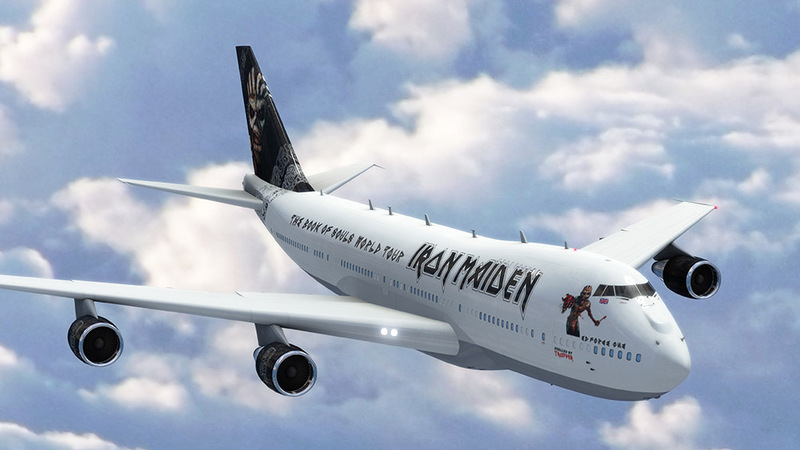 Along the way Maiden will also hit El Salvador and China, both for the very first time. “When the opportunity arose from my friends at Air Atlanta Icelandic to lease a 747 for The Book of Souls World Tour, of course we jumped at the chance, who wouldn’t? The greatest benefit of travelling in a 747 is that because of its colossal size and freight capacity we can carry our stage production and all our stage equipment and desks in the cargo hold without having to make any of the immense structural modifications needed to do this on the previous 757, the extent of which fans will have noted on the Flight 666 DVD. “Although in reality we cannot carry much more gear the savings in complexity, time and cost make using the 747 even more practical. All we will need to do is “paint” it and move a few seats around, with the added advantage that there is much more room for band and crew – our crew can almost get a row of seats each to catch up on sleep on the flights! Furthermore, it is marginally faster 0.85 MACH and the range of around 7000NM (13,000 km) is much greater which means we will not have to make the refuelling stops we needed to with the 757. “However, even though we have worked out the logistics of taking a plane of that immense size out on tour, I still have to learn to fly it before we can go anywhere! The Book of Souls is set for release on September 4. Rock on Bruce. Ok, I admit it. I am a metal connoisseur. 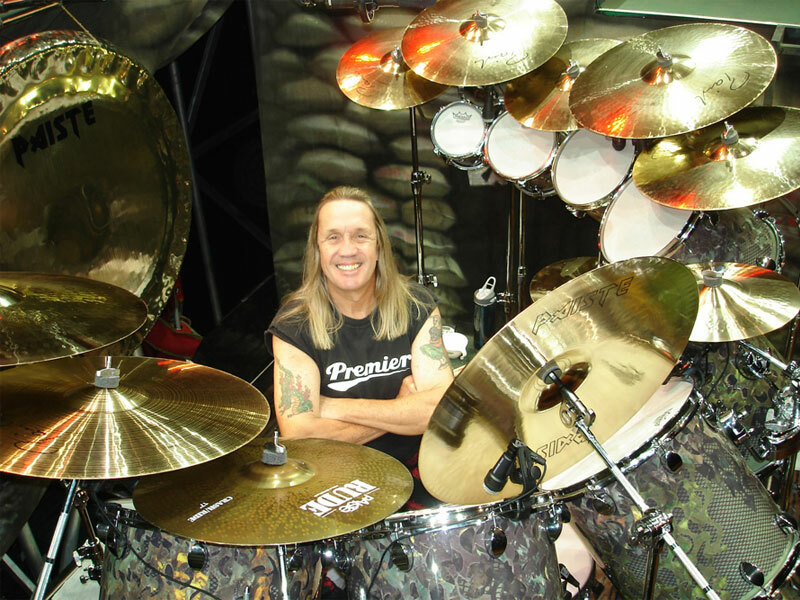 I relish the days of Judas Priest touring with Iron Maiden, the Scorpions, and the like. 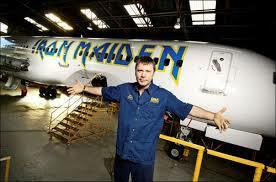 So for me, Eddie lovers and Maiden fans worldwide. . . .get ready. The band has announced the release of their new album, The Book of Souls, for later this fall. 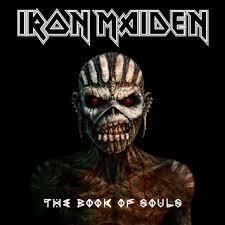 The Book Of Souls will be the band’s 16th studio album since they formed in 1975 and released their first album in 1980. 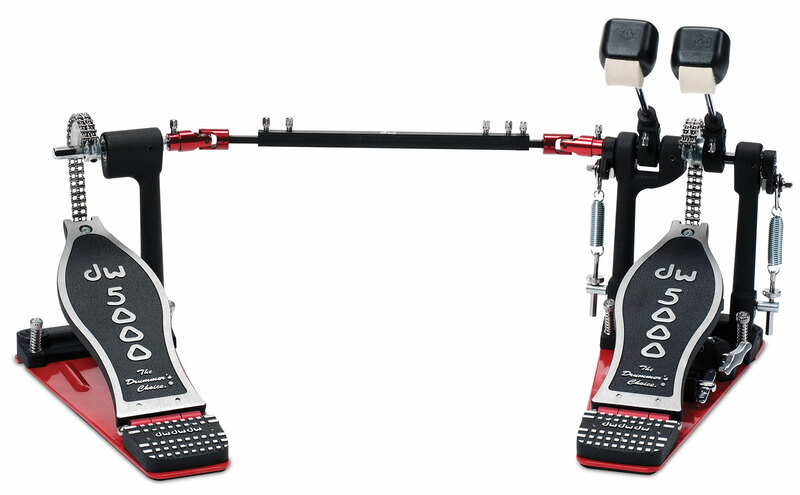 (The band’s last studio album was The Final Frontier, released in 2010). For Maiden, these are uncharted waters; the band has never done a double studio LP. 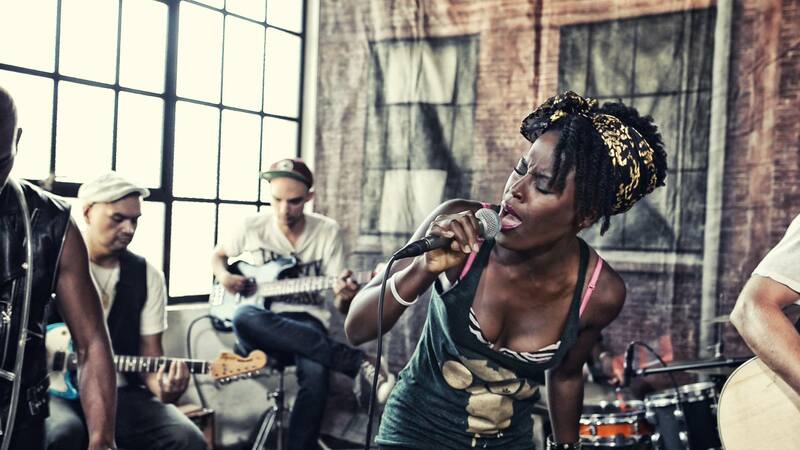 Second, the album will feature the band’s longest-ever recorded song. 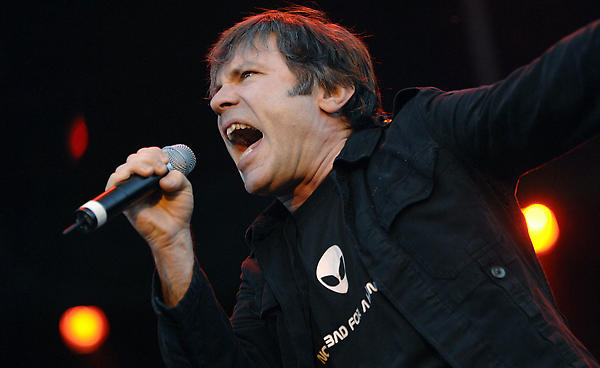 Following doctors clearing frontman Bruce Dickinson for action after a bout with tongue cancer, September 4 will be a big day for fans with the release of this album. (Of his cancer battle Dickinson would comment, “I’m a firm believer in trying to maintain a positive attitude, and the encouragement from the global Maiden family meant a great deal to me. Right now, I’m feeling extremely motivated and can’t wait to get back to business as usual, as soon as I can!”). 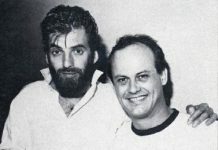 Of particular interest to me in the age of the three-minute-pop-formula-compositions is the Dickinson penned track entitled The Empire Of The Clouds. The tune is over 18 minutes in length; clearly, the band’s longest-ever recorded song. (Ah yes, the good old days of one song per LP side. . . . 2112 anyone?). Whether you are a fan or not, you have to root for a legendary act like Maiden which decides to come back and make a statement in the process. Dickinson and crew are not just happy to rest on their laurels; they want hit the ground running and do it against the grain. I applaud that. Additionally, good for Dickinson to fight the good fight and come back. Bravo. In fact, I would venture to say that this time people will be running from the hills (not to them) to get their hands on this record. Next articleR.E.M. To Trump. . . It’s The End Of The Use!